I have a theory* that any one can build a thriving business. And it's simple (NOT EASY, but simple). 2. Commit yourself wholly. This doesn't mean you have to commit yourself full-time..but that you are completely and totally dedicated with all of your heart to making this work. You are in love, married for life and hopelessly devoted. Nothing else (no day job, no scheme, no one else's success) can turn your head or shake your focus. 4. Ruthlessly review. What's working? What's not? 4a. The thing you tried (from your product to your messaging to your photographs) not working? Try something new. 4b. Whatever part of it is working (and there's always something) KEEP THAT. Build on it. Shift your entire focus to what is working, even if it's far different than what you imagined you'd do. The above answers 98% of all questions I receive. I can't figure out what to do next? Pay attention to what's working, and stop doing what's not. I don't know what's working? Have a regular system of review. And do it. Why aren't I seeing results? A. How long has it been? Are you being reasonable about your expectations? B. Are you truly spending your time focusing on the things that will have most impact towards reaching a specific goal? Or are you spinning? C. Are you measuring by your own definition of success? Or someone else's? What this means is that while anyone can build a business, not EVERY business idea is a good one. So while you're fully committed to making some business work, you are flexible about how it's going to go down (and build up). I wrote this all out a few months ago and it's been sitting in Evernote, while I considered if it was missing anything. But it came up this week while I was having a (friendly) debate with Srini, who has met and talked to hundreds of successful entrepreneurs. Is it true that ANY one can do what we do (Start, Commit, Review, Repeat) and reach their own definition of success (which might be totally different than our own)? He posits that there's something inherently exceptional about the people that take the action. I argue that anyone is capable is taking the action, some people just won't (because of fear, risk, or the culture they buy into to). There's nothing exceptional about the people that do it except that they do it. But we both agree: the people who start something + who take action towards it, are exceptional. 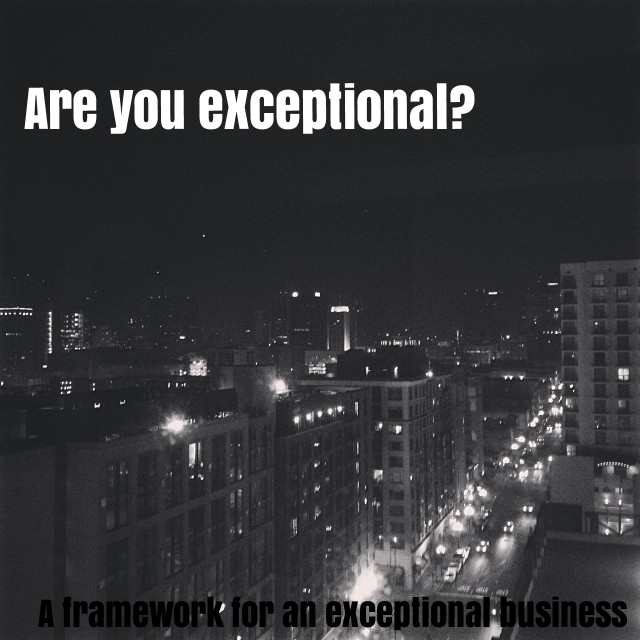 Are you going to be exceptional? PS. Most people will never start. Many will start, fewer commit themselves, and still fewer are dedicated to exploring their business and letting it change, in order to have something sustainable. If you've started and committed and you aren't seeing the results you want (within your own definition of success, not someone else's) – the question is: Are you reviewing and ruthlessly editing? Or are you married to your One Idea? If you are one of the few who stick with it, you are truly exceptional. *This theory is informed my experience of working with makers for a year at a time, (1/4 of which I've been with for 3+ years) plus my consulting with retail tech start-ups and the bricks + mortar businesses I've managed. 3 Comments on Are you exceptional? I agree with both concepts. I see it every day in my business. Many people want "something" but few will do the necessary steps over and over to accomplish it. Few will stay up late finishing…few will put their name and neck on the chopping block…few will see it through for as long as it takes to work or implode. In my shop you can only sell your "thing" if you have a legal working business. I did this after doing consignment and having people whine about sales etc. If people do their own due diligence something shifts that makes them want to work a little harder or they see what it takes and decide against going into business (for now) I agree with you, anyone can do it but few will. Yes! I think lots of people believe that "if I just tell the world I want to start a business the cash will automatically roll in." That's not true. 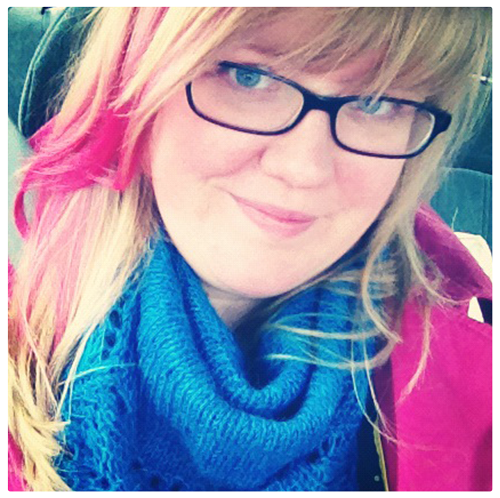 It's more than just listing on Etsy, it's marketing and keeping up with production.